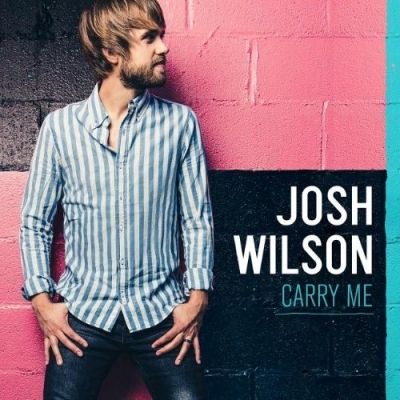 Critically acclaimed singer, songwriter and storyteller Josh Wilson will release his fourth project with Sparrow Records, 'Carry Me' on 9th April 2013. Sharing about a very personal health issue dealing with anxiety and panic attacks, his new songs ultimately spread the message that through life's difficult trials, it is only God who can carry us through it all. "Philippians 4 says, 'Do not be anxious about anything... the peace of God will guard your hearts and minds in Christ Jesus,'" Wilson shares. "I prayed for that and each day would say, 'God, I can't make it without you. I need you to carry me.' And He did, and He still does. He carried me through each day even before I experienced the anxiety, but I just didn't realize it. It took these difficult moments for me to realize how much I need Jesus." With production by Matt Bronleewe (Chris Tomlin), each of the dozen songs stand out for its rhythmic contributions coupled with the addition of strings and woodwinds to Wilson's assuring voice. Josh Wilson is currently on the road with Third Day and Colton Dixon for The Miracle Tour.